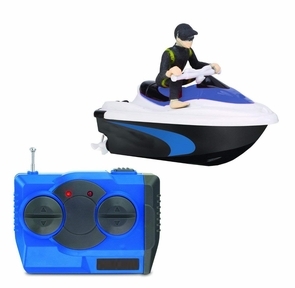 These micro RC Jet Skis are small enough to store on the top of the remote control and easy to carry along. Perfect perfect size for racing in small bodies of water. Browse Trend Times Toys full line of RC boats and pool toys for sale.